Ellie had been gone for such a long time. Mark slept in the guest room and did all the same things she does. He talked to me, fed me, walked me, gave me treats, but it just wasn’t the same. No cuddles on the bed–well I wasn’t going to let him pick me up. No belly rubs. No squirts in my ears that make me shake my head and run away–well, OK, I didn’t miss that. I had some scratchy things in my fur that nobody was trying to get out. 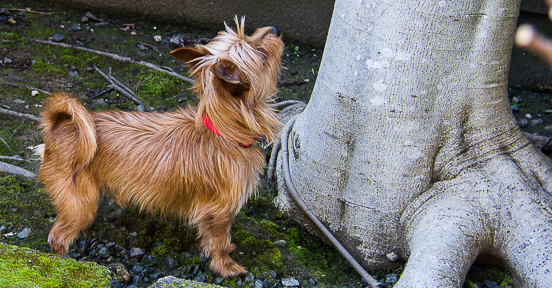 No visits to the doggie doctor–yeah for that. Then one evening the front door opened and there she was! I had to stop and look and sniff again. Is that really you? She stopped to pet my head, but I wasn’t so sure about this. I’d gotten used to just sleeping all the time and checking once in a while to see what Mark was doing. She went to bed pretty fast that first night, after dragging the darn rolling suitcase into the house. Over the next few days, she was too busy to do much with me. She kept getting up during the night and turning on lights and rummaging around the house. 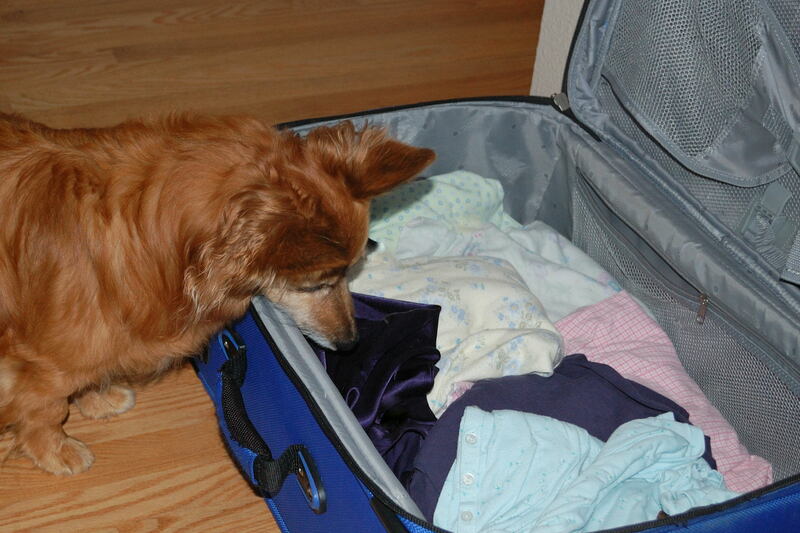 She unpacked the suitcase in the middle of the night, leaving whiffs of food and foreign smells all around. She left in the car and came back with a lot of food in bags; some of it was even for me. Soon I was following her around waiting to see what she was doing, if it was time for my walk, if there was any food she might drop on the floor. And then she not only rubbed behind my ears and my back, but she picked me up and put me on the bed and we had a really good, just-like-it-used-to-be cuddle. I started reminding her when it was walk time and sitting under her nose when she was eating in case she felt like sharing a bite. Now I’m back to running at her when she’s putting on her shoes in the morning, just so she knows I’m ready for a nice walk. She even put that darn stuff in my ears. Yuck. Things are back to normal with me and my human. But wait, she’s taking that rolling suitcase out of the closet again. Nooooooooooo!